Lets be honest, will I ditch the inner goth me and it's need for black clothing and chunky boots? Probably not. 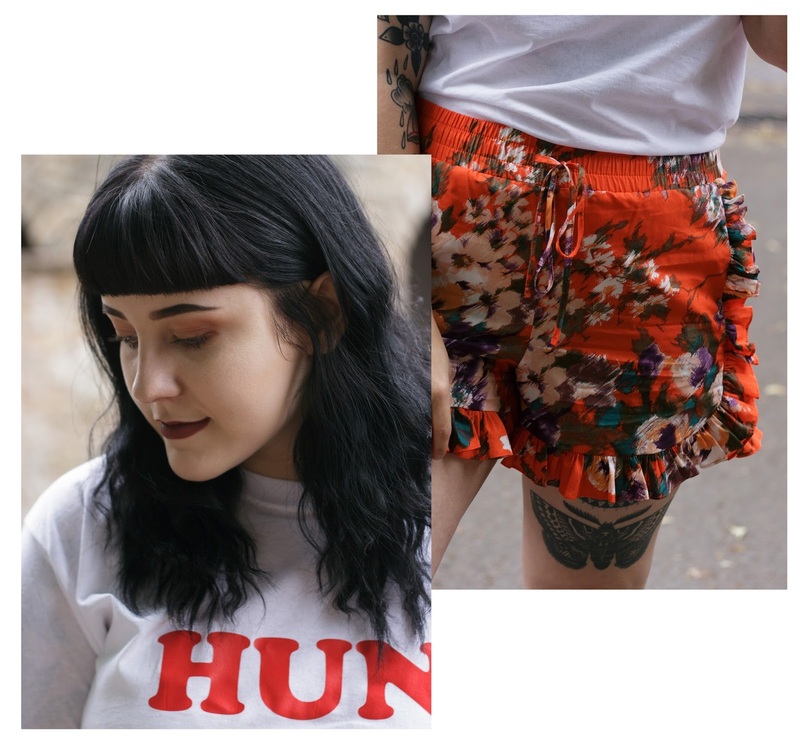 But for now, the UK's absolute shambolic excuse for a summer is underway and I have been on the hunt for pieces that are bright and can be worn again and again. With me going on holiday to Majorca in September (somebody pass me factor 50 and a lot of aftersun), a lot of clothing choices I've been making have had this in mind too! 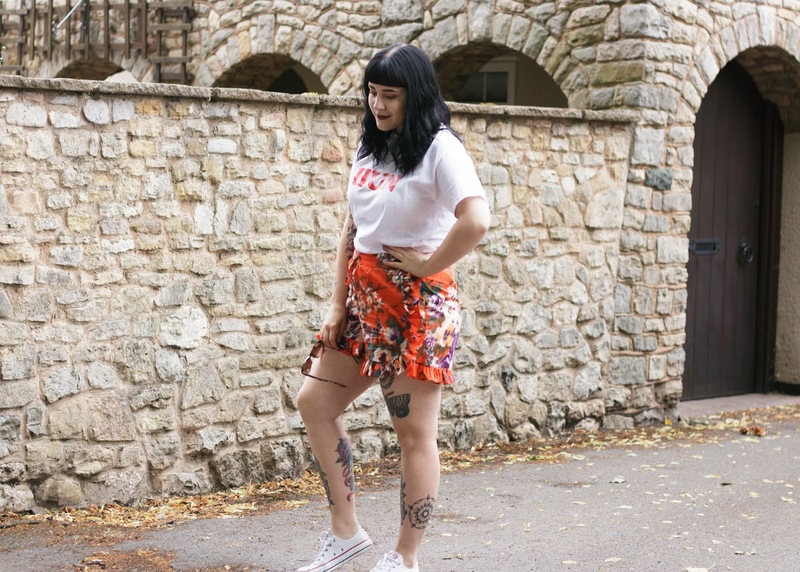 I'm a bit late on the whole slogan tee bandwagon but I honestly couldn't resist this tee, especially after seeing a lot of blogger babes including one of my faves Megan Ellaby in it. I own only a small handful of white tee's so this alone is a massive step out of my usual clothing options. Lets just say that its tipped me into the direction of wanting to buy EVERY cheesey slogan tee that I can get my hands on... dangerous. Now... onto the main attraction of this outfit, THE SHORTS. All I wear the vast majority of the time is shorts, skirts and dresses so it's nothing new for me to buy yet another pair of shorts. Until I saw these babies. 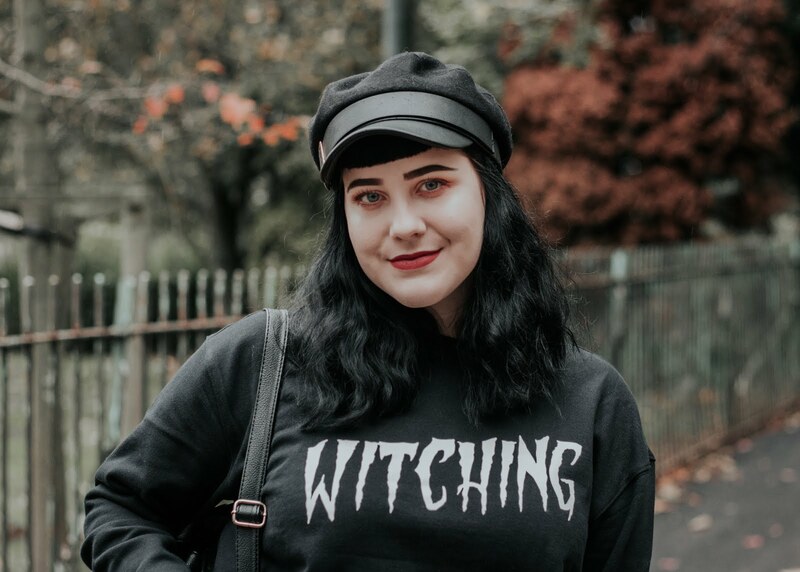 I had my eye on them for such a long time online and I'd seen a few people on Instagram wearing them, but they had sold out of all of the potential sizes I'd go for, I'm not gonna lie I was completely gutted and wouldn't shut up about it for ages! I recently went and did a few cover shifts for H&M Meadowhall for four days and during my time there I found a pair in my size and was over the moon! Of course the thing that mainly drew me in to them was the style of the shorts, I'm a sucker for frills and we all know it! I was a bit apprehensive about the print, it's so bright and unique I was quite worried I would look absolutely daft in them. 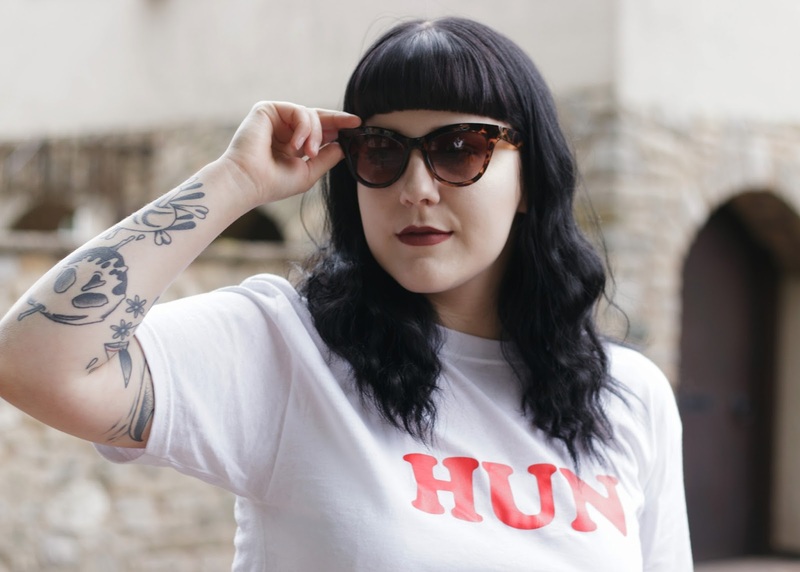 I knew instantly that I would wear them with the Hun tee as the colours tied in so nicely. I also thought you could dress the shorts up with a nice white or cream button up blouse, to give it a more dressed up look.